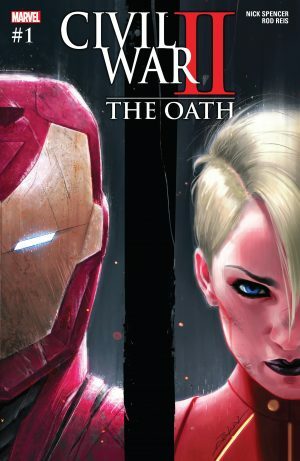 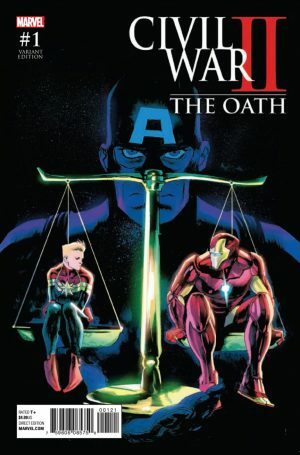 Marvel Comics Spoilers follow for Marvel Now 2017’s Civil War II The Oath! 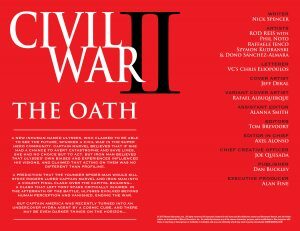 Here’s the summary page that tells you in three paragraphs what happened in Civil War II. In this book Captain America, Agent of Hydra, becomes SHIELD Director. 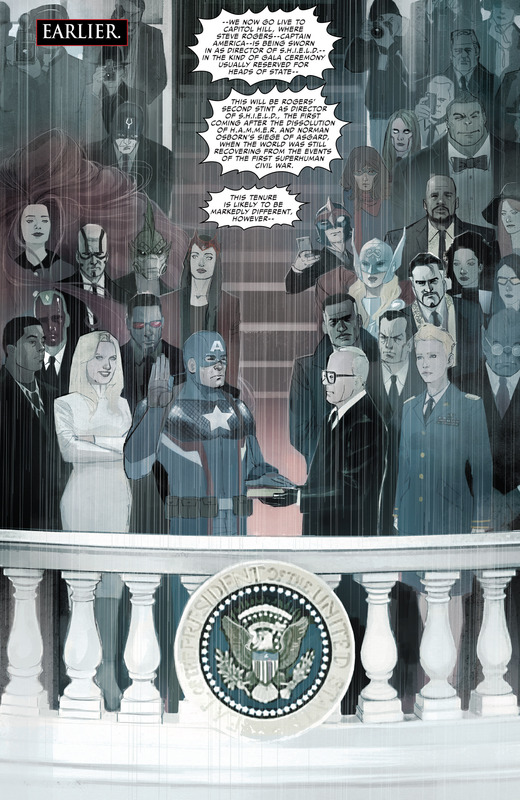 We get a glimpse at the future Steve Rogers Captain America gleaned from Inhumans future seer Ulysses! 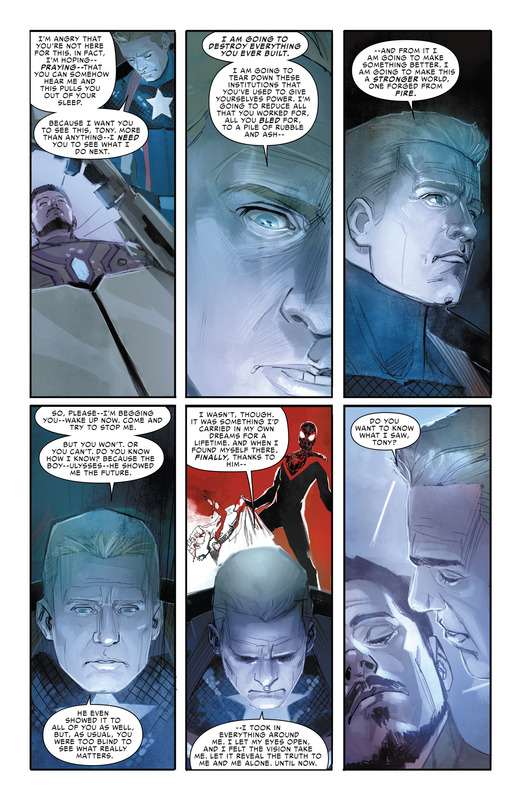 Steve Rogers tells a comatose Tony Stark / Iron Man what he saw in that vision. 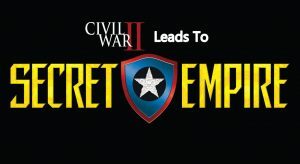 He will destroy what Iron Man built and more! 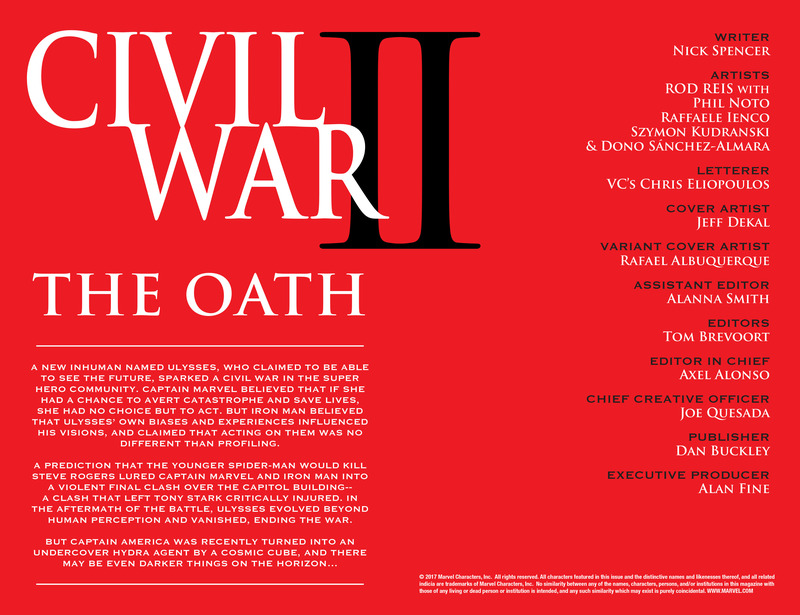 …at the expense of civil liberties. 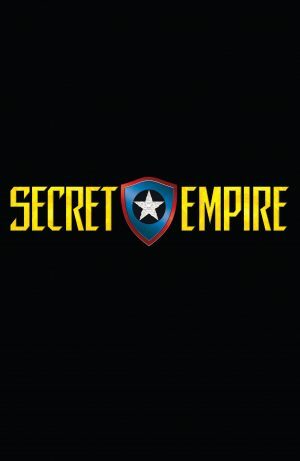 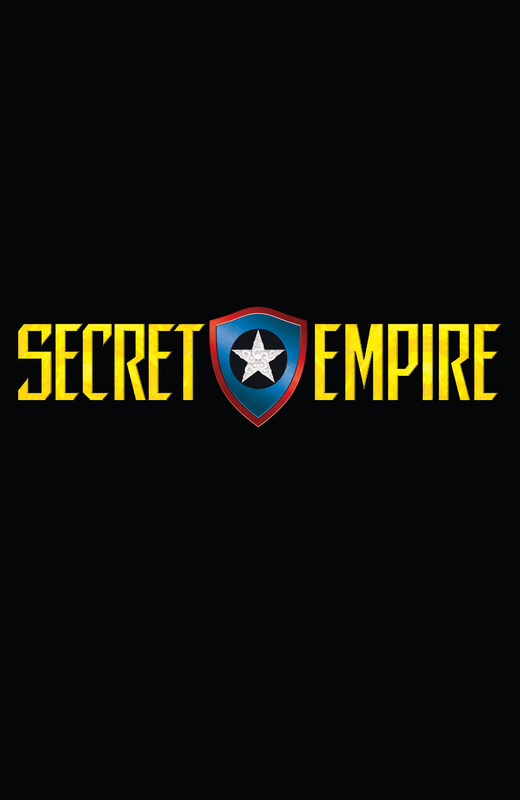 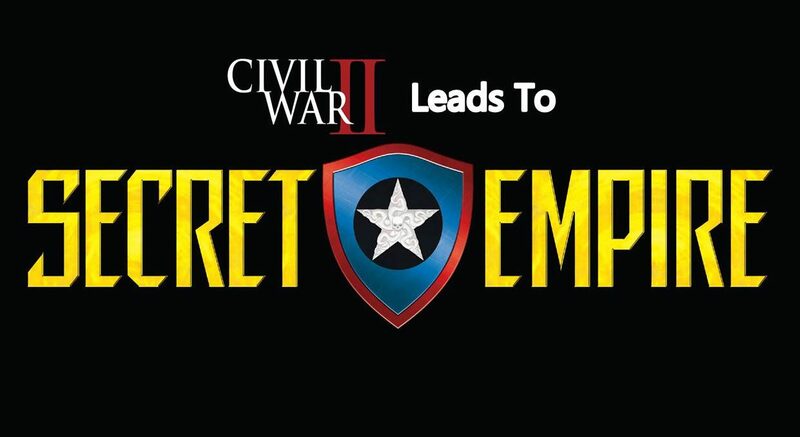 …in the Secret Empire event! You can see that the big criticisms of the Donald Trump administration are the fear about civil liberties, minority rights, illegal aliens, etc. 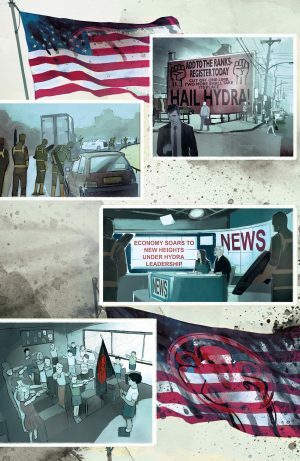 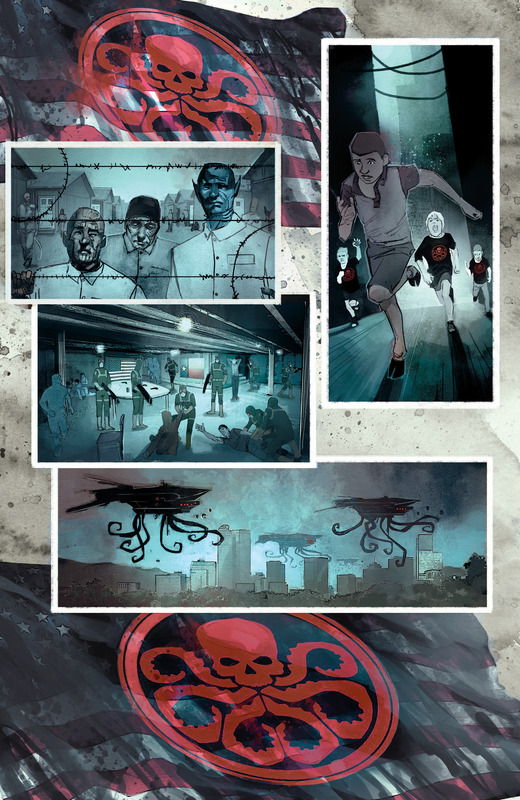 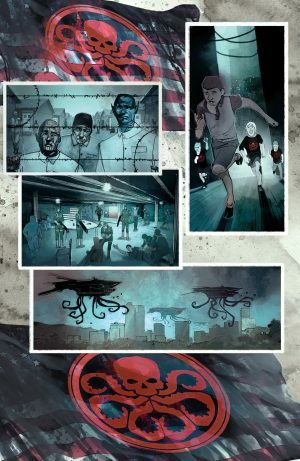 It looks like Marvel will be using comics a social commentary siding with the critics of the administration, since Hydra is a long established evil terrorist group, but anticipating an economic boom too. So, what are your civil liberties worth under President Donald Trump in the real world and President Red Skull, presumably, in Marvel Now 2017? 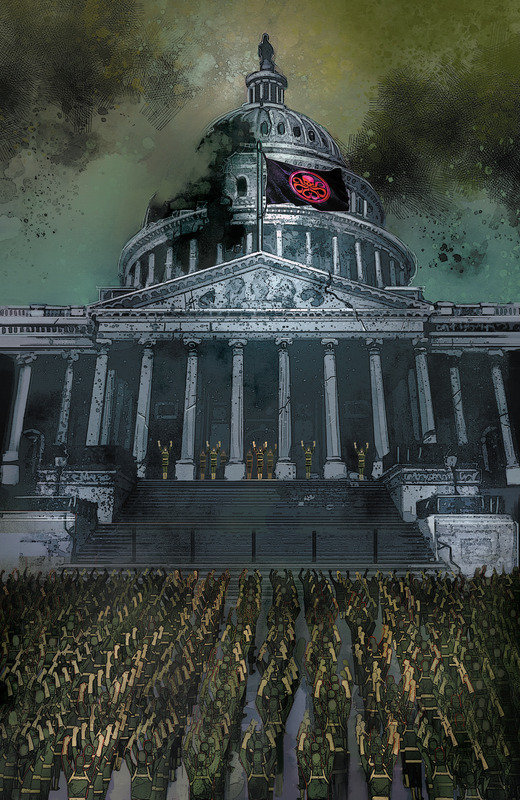 We’ll see whether Marvel readers are as divided as the electorate was during Election 2016.